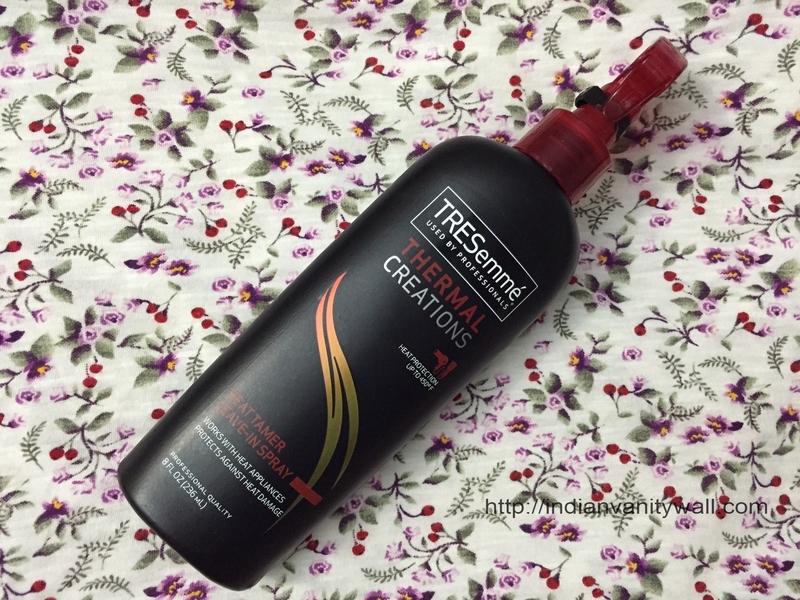 Today I will be reviewing the Tresemme Thermal Creations Heat Tamer Leave-In Spray. Let me tell you guys in advance that this is a rave. I am honestly head over heels in love with this stunner and have been using it since 10 months and I am on my 3rd bottle. This review has been long overdue and I am really not sure why I did not get to writing it. Without any further stalling, here is my take on this product. This heat protection spray stands up to flat irons and curling irons by guarding against heat and friction, leaving hair shiny and enviably soft. Formulation: This heat protection spray, with a moisture-locking vitamin complex, is heat-activated to guard against harsh styling damage. Effect: Transforms hair textures for enhanced flexibility, shine and softness—all while taking the heat and holding your shape. It comes in a black opaque plastic bottle with a nozzle dispenser cap. The nozzle neck has a button mechanism that locks the nozzle from dispensing any product. Bottles with nozzles are a big pain to travel with but this one works brilliantly because of the lock mechanism. It would however be a disaster if the nozzle is not locked. 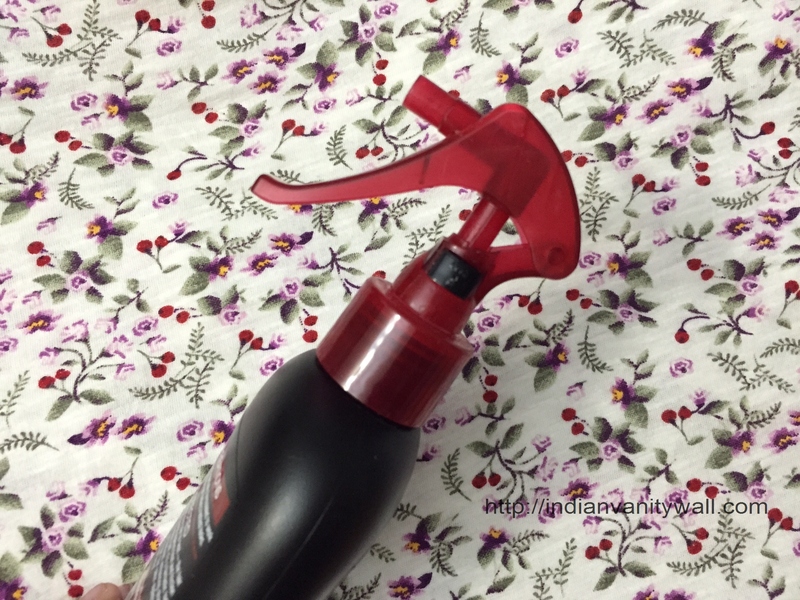 I ended up spilling half the product in my suitcase when I was traveling from India. Suffice to say this has made me more cautious when on the move and fortunately I haven’t had any such incidents thereafter. It is colorless and looks exactly like water. This is one of reasons I love this spray. I have fine hair and an oily scalp. So most hair protectants with a gel or oil-serum concoction doesn’t do much for my hair except for weighing it down. There are a few exceptions though. This spray feels absolutely light on the hair – as I said just like water. It has the typical tresemme fragrance which lasts for a while. For my shoulder length hair, one bottle lasts me a little over 3 months. The nozzle has a good spraying range so you really don’t need much product. I just need 3 – 4 pumps to cover all the hair. 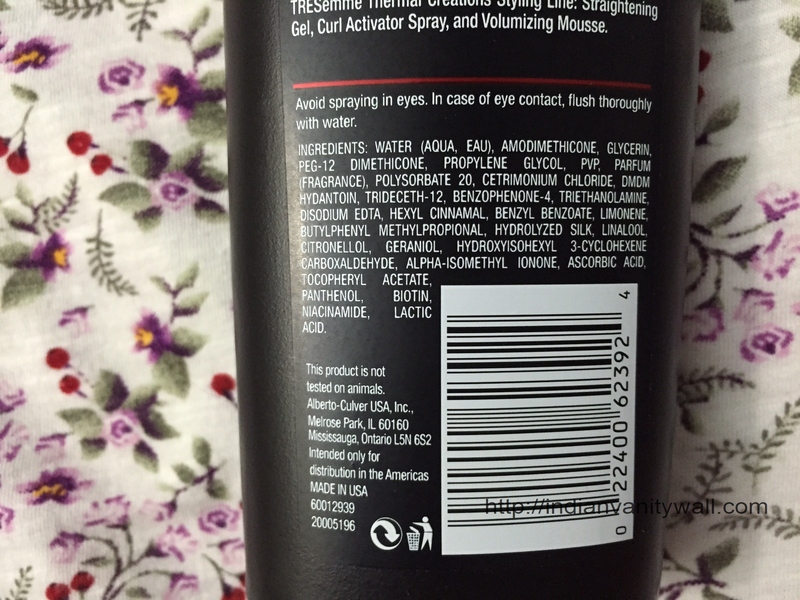 This spray is packed with vitamins which nourishes the hair while protecting it. It leaves hair soft, shiny and smelling divine!! It also works on frizz to some extent. I can definitely vouch for the fact that this product protects hair from heat damage. Back in my college days, I never gave much thought to heat damage and wrecked my hair through constant blow drying. With time and experience, I’ve come to learn about the absolute necessity of a heat protectant when you subject hair to styling tools. To sum it up, I swear by this product and it is a must have among my hair care products. It does all that it claims and a few more. Atleast here in the US, I think this is definitely undervalued at the price for which it is retailed. Highly recommended! This is one product who shouldn’t miss out on. In India availability is an issue. My first purchase was from amazon and I paid 810 bucks. Definitely don’t regret it but I wish it was available at a cheaper rate so that everybody could try it out. Have you tried Tresemme Thermal Creations Heat Tamer Leave-In Spray?? Did you like it as much as I did? What are you using now??? Let me know by commenting below. 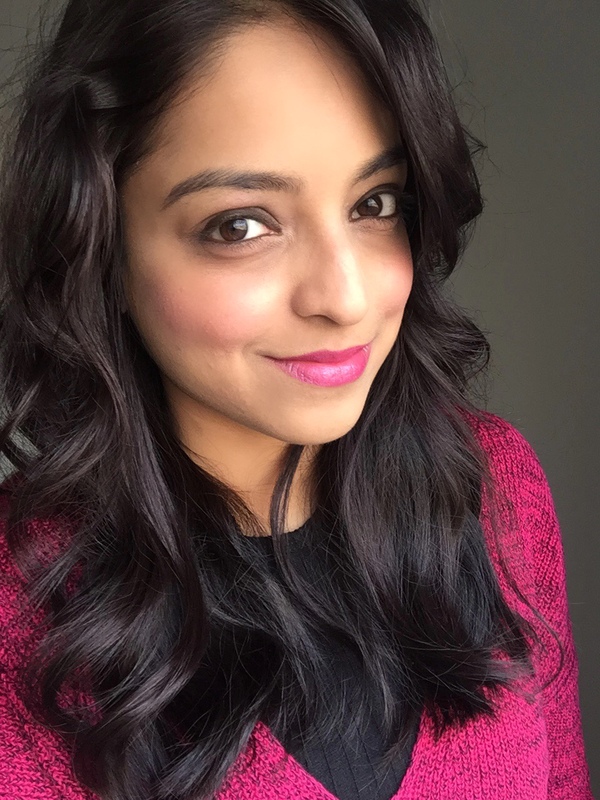 In india we get it a very high price…but still since you are raving, i would be happy to try it out..
Richa Saxena recently posted…Is the Bourjois Ambre D’Or Blush as good as baked goodies?